++ All classes run under ISDRA rules. 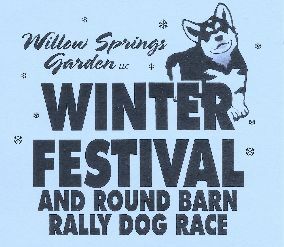 # This event is ELIGIBLE for the "2019 NutriSource 2-Dog Adult Sled Challenge"
Please visit Wisconsin Trailblazers FB page for more details. Wisconsin Trailblazer (WTB) Membership required to participate *Execption Jr Class participants. Not an ISDRA Member: An addtional $6 per class fee applies*. ISDRA (International Sled Dog Racing Association) Membership Form available at www.ISDRA.org. Registered Breed Teams must be prepared to present registration papers for particpating dogs to race officials. Race Rules: Please visit ISDRA (International Sled Dog Racing Association) website for proper gear requirements and race rules. Snubline Starts: 10, 6, 4, 3-dog Jr. Rabies Certificates may be requested. Explaination of Entry Race Fees: Race fee includes a $4 ISDRA "User Fee" paid to ISDRA, $1 Donation to the race site's local Animal Shelter / Humane Society, & a $5 Refundable Bib Fee (Jrs are exempt from paying the User Fee). Bib / ISDRA Form Refund: On Sunday, bibs & completed ISDRA Report Froms must be turned in after racing; $5 will be refunded to racer of each entry. ALL RACE PARTICIPANTS ARE NOT LISTED ON THIS WEBSITE, MAIL-IN ENTRIES ACCEPTED.